One of the first things we learn in astronomy is that some of the objects in the sky (the Sun and the stars) produce their own light, whereas others (the Moon and the planets) are only visible because they reflect light from the Sun. But do the Sun and the stars also reflect some of the light that falls on them? This is a question that scientists from UNSW Sydney and Western Sydney University wanted to find out, which quite surprisingly, has been little studied by astronomers. In their paper published in Nature Astronomy, the researchers showed that stars do indeed reflect light, and that this reflected light could be a useful tool for astronomers. Stellar reflection is most significant in a close binary system, where two stars are in orbit about each other. Such binary systems are believed common, with most of the stars in the universe thought to have binary companions. The scientists studied the bright star Spica (Alpha Virginis), which is actually two hot stars orbiting each other with a period of only four days. They found that the light of the star is polarised in a way that varies as the stars move around in their orbits. Professor Jeremy Bailey, from UNSW's School of Physics, said that normally, light from a star is unpolarised, meaning it vibrates in more than one plane. But when light from one star reflects that of another, it will become polarised, with the vibrations of light waves now traveling in a single plain. He said it is a similar process to the way light is polarised when it reflects off a water or glass surface, allowing us to reduce the glare using polarised sunglasses. "We were able to determine that the amount of polarisation we observed was exactly that predicted for a reflected light model," Professor Bailey said. "Our modelling showed that stars are actually quite poor reflectors of light. The Sun, for example, reflects less that 0.1 percent of the light falling on it. "However, for hotter stars, such as the components of Spica, with temperatures of 20,000 to 25,000 degrees Kelvin, the amount of reflection increases to a few per cent. The total amount of reflected light coming from the Spica system is, however, still very small." Professor Bailey said the reason why this discovery was important was because it will now allow astronomers to measure properties of stars that they can't easily measure for single stars. "It provides a way of detecting binary systems that could not be detected by other methods – particularly binaries with face-on orbits – and a way of measuring masses for a wider range of binaries than is currently possible," he said. "Single stars don't have a light source nearby (such as the binary companion) and so there is no way we could measure the small amount of reflected light." 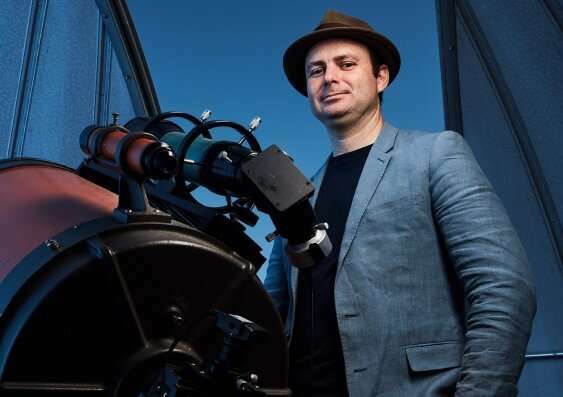 According to Professor Bailey, what makes the observation of stellar reflected light possible is the fact that the light is highly polarised and measurable with the very sensitive astronomical polarimeters that he and his UNSW colleagues have developed. "For this work we used three different telescopes including UNSW's own observatory, which is located on campus. The small 35cm telescope here was used to make the majority of observations included in this study," he said. Professor Bailey said he and his fellow researchers are now testing their techniques on other binary systems and believes the polarisation technique could open up new opportunities for the study of binary stars. "We expect it to work even better for hotter stars, and it could be used to find binary systems that are not detectable by other methods, and to study binary star orbits and properties," he said.